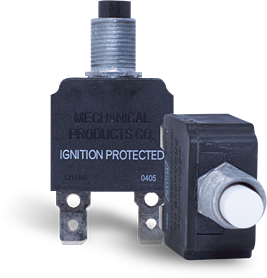 Supplying Ignition Protected circuit breakers from 0.5 – 300 amps. MP has partnered with industry leaders in solving specific needs and design requirements. Protection of Marine DC circuits to UL, SAE, ABYC Standards is our specialty. 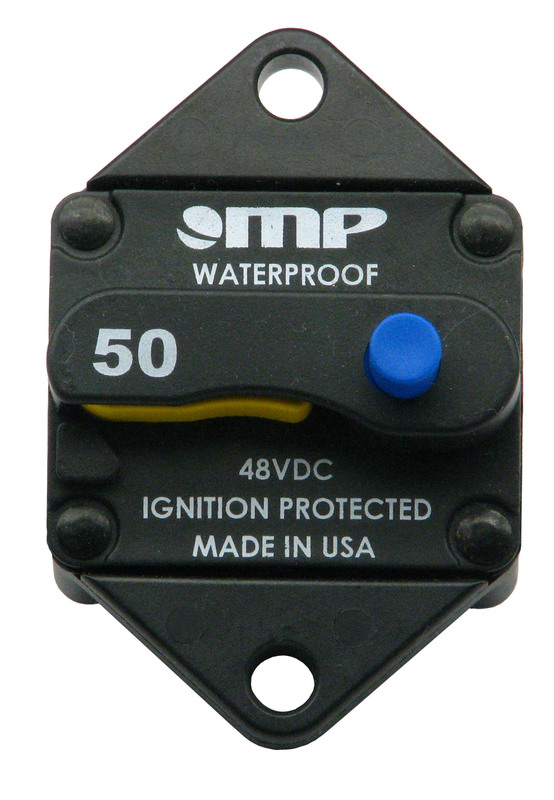 Whether the protection is for your boat’s accessories, bilge pump, windlass, batteries or power inverter, MP has qualified circuit breakers that meet or exceed Marine industry standards. 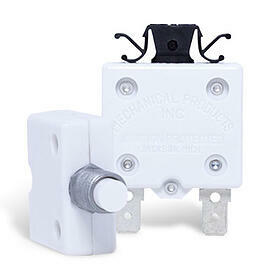 Does MP have circuit breakers that are ignition protected? Virtually every circuit breaker MP offers from 0.5 – 300 amps is ignition protected rated as per UL1500 and SAE J1171. Does MP have circuit breakers that comply with accepted marine industry standards? MP offers a comprehensive selection of circuit breakers that comply with ABYC-E11 Standard – Electrical Systems for Boats. Specifically, up to 50VDC, MP offers protection for all the various DC circuits on boats such as accessories, battery system, bilge pumps and inverters. What do you recommend for our design to replace a 250-amp 12VDC fuse? We suggest you contact MP’s technical staff to discuss the specific requirements. In many instance, the circuit requires a much lower rated circuit breaker than the rating of the fuse it is replacing. Our cockpit panel design has very limited space. What do you suggest? Consider the MP Series 14 (3-20A) and Series 15 (3-40A) for your various circuit protection needs. 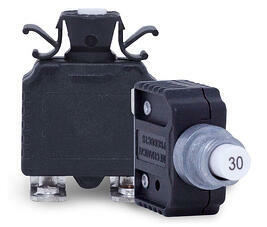 They are the most compact circuit breakers used extensively in the marine industry. How do I obtain assistance for selecting the correct circuit breaker for my application? MP’s technical staff can provide guidance in selecting the circuit breaker that meets your design and agency requirements. If required, our extensive test facilities are often useful in confirming performance and defining the proper protector for the project. How do I obtain a sample to test in my application? You can Contact Us today.